Scams that promise to "rescue" you from foreclosure are popping up at an alarming rate nationwide, and you need to protect yourself and your home. If you're falling behind on your mortgage, others may know it, too — including con artists and scam artists. They know that people in these situations are vulnerable and often desperate. Potential victims are easy to find: mortgage lenders publish notices before foreclosing on homes. Private firms frequently compile and sell lists of these foreclosed properties and distressed borrowers. After reading these notices, con artists approach their targets in person, by mail, over the telephone, or by e-mail. 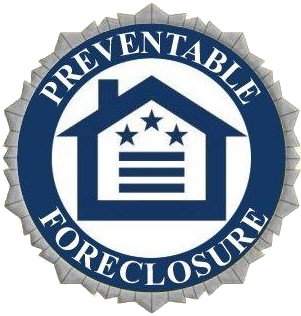 They often advertise their services on television, radio, or the Web, and in newspapers, describing themselves as "foreclosure consultants" or "mortgage consultants," offering "foreclosure prevention" or "foreclosure rescue" services. And they are only too happy to take advantage of homeowners who want to save their homes. If someone offers to negotiate a loan modification for you or to stop or delay foreclosure for a fee, carefully check his or her credentials, reputation, and experience, watch out for warning signs of a scam, and always maintain personal contact with your lender and mortgage servicer. Your mortgage lender can help you find real options to avoid foreclosure. It is important to contact your mortgage lender early to preserve all your options. There are legitimate consumer financial counseling agencies that can help you work with your lender. This Consumer Advisory, issued by the Office of the Comptroller of the Currency (OCC), describes common scams, suggests ways to protect yourself, provides information on U.S. government loan programs and counseling resources, and lists 10 warning signs of a mortgage modification scam. Here are some examples of scams related to mortgage modification and foreclosure avoidance. Foreclosure "rescue" and refinance fraud. The scam artist offers to act as an intermediary between you and your lender to negotiate a repayment plan or loan modification and may even "guarantee" to save your home from foreclosure. You may be told to make mortgage payments to the scammer directly — along with significant, up-front fees — and be told that the scammer will forward the payments to your lender. In reality, the scammer may pocket your money and leave you in worse shape on your loan. The scam artist also may tell you to stop making payments or stop communicating with your lender. Don't follow that advice. Remember that your mortgage lender should be the starting point for finding options to avoid foreclosure. You also should consider contacting qualified and approved credit counselors. Fake "government" modification programs. Unscrupulous people may claim to be affiliated with, or approved by, the government or may ask you to pay high up-front fees to qualify for government mortgage modification programs. While government-supported mortgage modification and refinancing initiatives are legitimate, the scam artists' claims are not. Keep in mind that you do not have to pay to benefit from these government programs. All you need to do is contact your lender or loan servicer. The scam artist's name or Web site may be very similar to those of government agencies. The scam artist may use such terms as "federal," "TARP," or other words or acronyms related to official U.S. government programs. These tactics are designed to fool you into thinking the scam artist is somehow approved by, or affiliated with, the government. The government is taking actions to stop this fraud, but you also need to protect yourself. So be wary of claims offering "government-approved" or "official government" loan modifications. Your lender will be able to tell you whether you qualify for any government initiatives to prevent foreclosure. You do not have to pay anyone to benefit from them. Leaseback/rent-to-buy schemes. In this type of scam, you are asked to transfer the title to your home to the scammer, who will, supposedly, obtain new and better financing and/or allow you to remain in the home as a renter and eventually buy it back. If you do not comply with the terms of the rent-to-buy agreement, you will lose your money and face eviction. The agreement may be very hard to comply with, because it may require, for instance, high up-front and monthly payments that you may not be able to afford. In fact, the scammers may have no intention of ever selling the home back to you. They simply want your home and your money. Remember that transferring your title does not change your payment obligations — you will still owe your mortgage debt. The difference will be that you will no longer own your home. If payments are not made on the mortgage, your lender has the right to foreclose, and the foreclosure and any other problems will appear on your credit report. Bankruptcy scams. 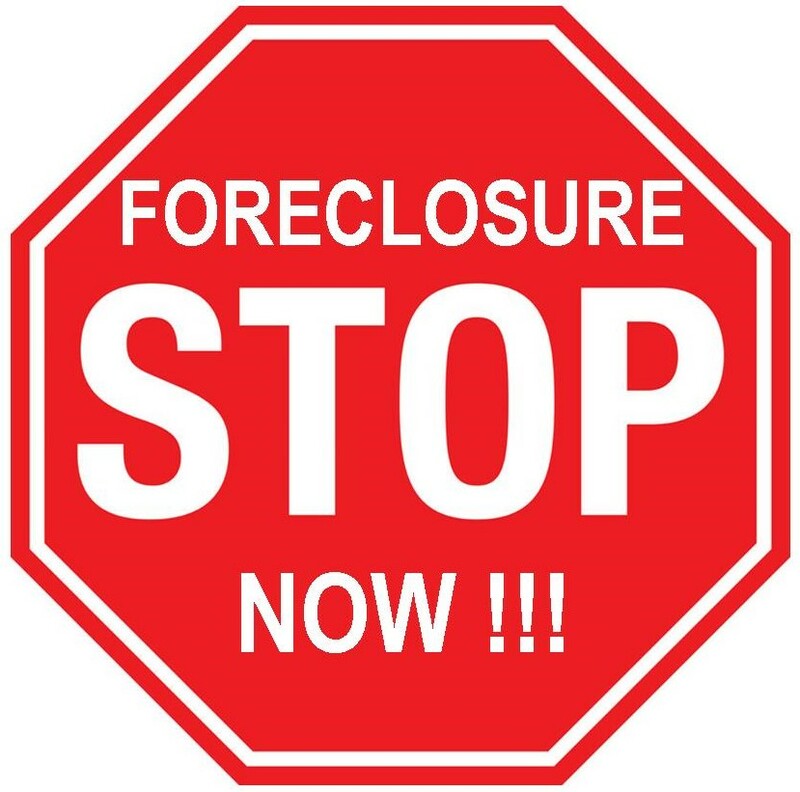 You may have heard that filing bankruptcy will stop a foreclosure. This is true — but only temporarily. Filing bankruptcy brings an "automatic stay" into effect that stops any collection and foreclosure while the bankruptcy court administers the case. Eventually, you must start paying your mortgage lender, or the lender will be able to foreclose. Bankruptcy is rarely, if ever, a permanent solution to prevent foreclosure. In addition, bankruptcy will negatively impact your credit score and will remain on your credit report for 10 years. Debt-elimination schemes. Scammers may claim to be able to "eliminate" your debt by making illegitimate legal arguments that you are not obligated to pay back your mortgage. These scammers will provide you with inaccurate claims about applicable laws and finance, such as that "secret laws" can be used to eliminate debt or that banks do not have the authority to lend money. Do not stop making payments on your mortgage based on their claims. Always proceed with caution when dealing with anyone offering to help you modify your mortgage or avoid foreclosure. Remember that you do not need a third party to work with your lender — any such party should make the process easier, not harder and more expensive. Contact your lender or mortgage servicer first. Speak with someone in the loss mitigation department for mortgage modification options and other alternatives to foreclosure. Make all mortgage payments directly to your lender or to the mortgage servicer. Do not trust anyone to make mortgage payments for you, and do not stop making your payments. Avoid paying up-front fees. While some legitimate housing counselors will charge small fees for their services, do not pay fees to anyone before receiving any services. Make sure you are dealing with a legitimate organization. Know what you are signing. Read and understand every document you sign. Do not rely on an oral explanation of a document you are signing — make sure that you read and understand what the document actually says. Otherwise, a document may obligate you to terms you don't want or may even convey ownership of your home to someone else. Never sign documents with blank spaces that can be filled in later. Never sign a document that contains errors or false statements, even if someone promises to correct them. If a document is too complex to understand, seek advice from a lawyer you trust or a legitimate, trusted financial counselor. Do not sign over your deed without consulting a lawyer you select. Foreclosure scams often involve transfer of ownership of your home to a con artist or another third party. Never agree to this without getting the advice of your own lawyer, financial advisor, credit counselor, or other independent person you know you can trust. By signing over your deed, you lose the rights to your home and any equity built up in the home — and you are still obligated to pay the mortgage. Get promises in writing. Oral promises and agreements relating to your home are usually not legally binding. Protect your rights with a written document or contract signed by the person making the promise. Keep copies of all contracts that you sign. Again, never sign anything you don't understand. Report suspicious activity to relevant federal agencies, such as the Federal Trade Commission, and to your state and local consumer protection agencies. Reporting con artists and suspicious schemes helps prevent others from becoming victims. If your complaint or question involves a national bank and you cannot resolve it directly with the bank, contact the OCC's Customer Assistance Group by calling (800) 613-6743, by sending an e-mail to customer.assistance@occ.treas.gov, or by visiting www.HelpWithMyBank.gov. Contact a legitimate housing or financial counselor to help you work through your problems. "Pay us $1,000, and we'll save your home." Some legitimate housing counselors may charge small fees, but fees that amount to thousands of dollars are likely a sign of potential fraud — especially if they are charged up-front, before the "counselor" has done any work for you. Be wary of companies that require you to provide a cashier's check or wire transfer before they take any action on your behalf. "I guarantee I will save your home – trust me." Beware of guarantees that a person or company can stop foreclosure and allow you to remain in your house. Unrealistic promises are a sign that the person making them will not consider your particular circumstances and is unlikely to provide services that will actually help you. "Sign over your home, and we'll let you stay in it." Be very suspicious if someone offers to pay your mortgage and rent your home back to you in exchange for transferring title to your home. Signing over the deed to another person gives that person the power to evict you, raise your rent, or sell the house. Although you will no longer own your home, you still will be legally responsible for paying the mortgage on it. "If your lender calls, don't talk to them." Your lender should be your first point of contact for negotiating a repayment plan, modification, or short sale. It is vital to your interests to stay in close communication with your lender and servicer, so they understand your circumstances. "Your lender never had the legal authority to make a loan." Do not listen to anyone who claims that "secret laws" or "secret information" will be used to eliminate your debt and have your mortgage contract declared invalid. These scammers use sham legal arguments to claim that you are not obligated to pay your mortgage. These arguments don't work. "Just sign this now; we'll fill in the blanks later." Take the time to read and understand anything you sign. Never let anyone else fill out paperwork for you. Don't let anyone pressure you into signing anything that you don't agree with or understand. "Why haven't you replied to our offer? Do you want to live on the streets?" High-pressure tactics signal trouble. If someone continually contacts you and pressures you to work with them to stop foreclosure, do not work with that person. Legitimate housing counselors do not conduct business that way.